Trust me I had the same question but it was a fun state cup for us. We got out there and played a great first 85 against kicks, but lack of subs and their quality finally wore us down. Didn't have anything left by the time we played Texans with the temperature rising above 30 degrees C. Though some may say what I am about to say is an excuse but playing with 1 sub and missing 5 starters is more of a challenge for a Plano side then other sides that could replace those injuries with similar or even better players. We didn't enter the tourney thinking that would be the case just a rash of late injuries after signing up closed. To those teams that went out there and challenged their girls, Ayses, Defeeters, Ntx Celtic you got to them props for trying. How do you get better without seeing what the best have to offer. Our side learned so much through the battle of attrition this weekend and we are looking toward our next challenge. Still a little dinged up though we signed up for Houston. At least we have a chance to take some guest players with us down there. As we said earlier if anyone is interested or looking for a new team ( her goes my cheap plug you knew it was coming) give us a ring come check us out. If you ready to work hard, be challenged both on and off the field. Another reason teams may not enter may come down to cost of traveling to regionals in NC if make it thru...meaning if there are not enough girls that can make that trek for a solid week than no reason to play State Cup. As the teams get older, more teams trend to showcase travel rather than tournament travel. Can just get too cost prohibitive to do it all. Just my 2 cents. It is not meaningless nationally. National League spots still have a ton of value and that path goes through state cup and regionals. College coaches line up to watch NL teams at Disney just like they do for Sanford. Kicks likely threw in the towel because of injuries and needing more bodies to compete where they want to compete. I would guess if they qualified they wouldn't back out of national league, and would figure out a way to do both NL and dfeeters ecnl. HomeStretch wrote: It is not meaningless nationally. Kicks had 4 or 5 key injuries so it's not about throwing in the towel as in not having enough towels. A north texas State cup is still a state cup. I don't think that any of the kids playing this weekend thought it meant nothing. I will agree with DA, ECNL, Composite and other items it becomes less important. However, you still see teams player passing ECNL kids and DA kids on the boys side. So it must mean something to somebody. Folks have predicted the demise of the Kicks for 8 years it seems. 3 state cups later, and a finalists at nationals what did them in is the injury bug. Maybe just maybe if they had 2 of those 5 that were injured it would have been a much easier spring especially when you consider their best score was one of their key injuries. I think my Toronto Raptors would have fared better against my Second favorite teams without their best player. I know it's different sports. However, its hard to play your best without your best. Marvelousmar wrote: Kicks had 4 or 5 key injuries so it's not about throwing in the towel as in not having enough towels. A north texas State cup is still a state cup. I don't think that any of the kids playing this weekend thought it meant nothing. What do you mean by "did them in" marvelous? They lost a state cup? Interesting stat...this will be first state cup ever in this age group without kicks in the final. 6 year run is pretty good. I wouldn't say they are "done in" until I dont see them making noise anymore wherever they end up playing. JM is a good recruiter and businessman. They're probably not done yet. Don't they have a bye into regionals? HomeStretch wrote: What do you mean by "did them in" marvelous? They lost a state cup? Interesting stat...this will be first state cup ever in this age group without kicks in the final. 6 year run is pretty good. I wouldn't say they are "done in" until I dont see them making noise anymore wherever they end up playing. JM is a good recruiter and businessman. They're probably not done yet. We didn't throw in the towel this year. This year we got hit with too many injuries. No excuses because I think every team has injuries in this age group. We lost our top forward (WVU commit) and IMO the best forward in the age group, our center back (UNT commit), our dynamic YNT player, our best soccer player (Vanderbilt commit) who controls the middle and our most versatile player (starts and plays multiple positions depending on what team needs] We also lost two key players off the bench and now our goal keeper (good thing it doesn't look too serious]. Yes we have a bye to regionals but we are not the same team without these key players. The good thing is other players are getting opportunity and exposure. In the end, getting college scholarships is the ultimate goal for most of these players. Best of luck to the remaining teams. I didn't realize this will be the 1st time in 6 yrs we will not be in state cup finals. Not bad for a rec team that began with 7 girls in my backyard. Marvoulasmar- Keep up the good work you are doing with your team. They played with a lot of heart. Dfeeters wrote: Good one BWG. Just getting back at HomeStretch for calling me out as the Baghdad Bob of the Bees a couple weeks back. U know I got much respect for Magenta Nation! I think you totally missed my statement. I mean exactly that. Injuries is the reason they are not in the state cup semis. That's what I meant by "did them in". I have watched Juan's side with ahh and respect since they were academy and folks kept calling them Kicks Magenta, or what ever you want to call it. I have much love and respect for that crew. Still while beaten up the best side I have seen in this age group. Give Rodericks team all respect but Kicks' Light ( missing 5 starters) stronger side that Texans though the result might say something different. His girls played well this weekend. But Still give Deefeters kicks the props as best non-ECNL side out there but wait that might change soon too...( Might take away the non-ECNL. Trust me I feel you with the injuries. Though some will look at the score I call the little group that tried and survived having a great weekend. "Plano side" ( Has no business in Plano but some bad luck) 5 starters missing due to various injuries. (ACL, Concussions, Ankles, the list goes on) Plus players present playing pretty beat up. Having playing League games short handed. Saturday, Sunday Tuesday then Thursday. I have never been more proud of the group. Quiet as it kept the primary reason I entered the tourney is knowing we would get the last seed and have to play kicks light. Thought with my 18 we could hang with kicks light. They had 45 shots 24 on frame but having our own chances and getting in behind I thought we would put everything into the biggest upset in North Texas. ( We let them shoot from far but I thought our game plan was working until the cramp to my centreback) Then Juan's girls ran over our 10 that were left on the field. in the final 5 minutes turning a tie game into a blowout. The girls played with heart and that's all a coach could ever ask for a group that tried to challenge them self and will continue to challenge themselves. Nice try BW. 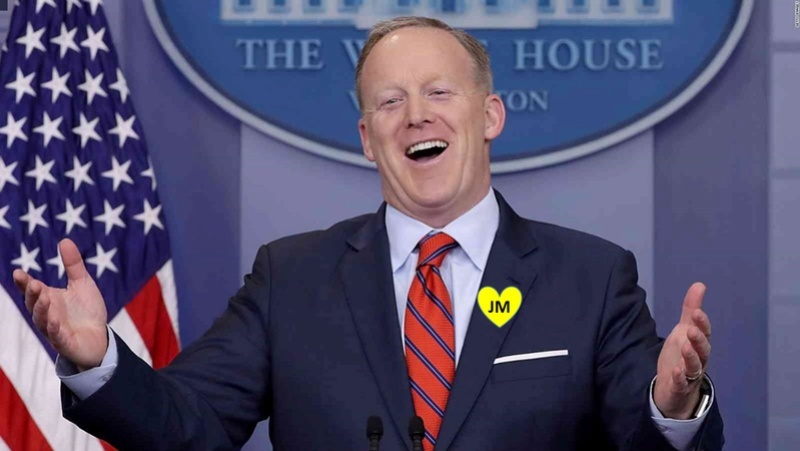 Unless spicy is a huge advocate for government employees and their families whilst being a critic of the orange administration and how they treat people, he doesnt fit me at all. No affiliation whatsoever with kicks the organization...baghdad bob might carry water, but I've no skin in that game...just call em like I see em. I wish all the players all the best. They deserve it. Dallas Texans Black Ft Worth was formerly FWFC Black and prior to that was Mansfield Samba. Does anyone remember that? None of the girls ever left to play ECNL. DA is coming so it may be a different look - several girls on this team are considering DA. justpeachy wrote: Dallas Texans Black Ft Worth was formerly FWFC Black and prior to that was Mansfield Samba. Does anyone remember that? None of the girls ever left to play ECNL. DA is coming so it may be a different look - several girls on this team are considering DA. Should have no problem getting DA spots. Droves of girls lining up for younger age single age group DA spots. Clubs hurting to find players to fill DA teams at high school age groups. Elite players already committed by 99/00, 01/02 age groups and why bother? Keep the grades up, have some fun, ECNL got you the scholarship so no reason to change now.